Ahead of its nationwide release in theaters this weekend, Open Road Films has debuted a new red band trailer for Nightcrawler, which the critics are describing as "f---ing amazeballs." Be warned, there is plenty of R-rated language and bloody footage in this trailer, so watch at your own risk. 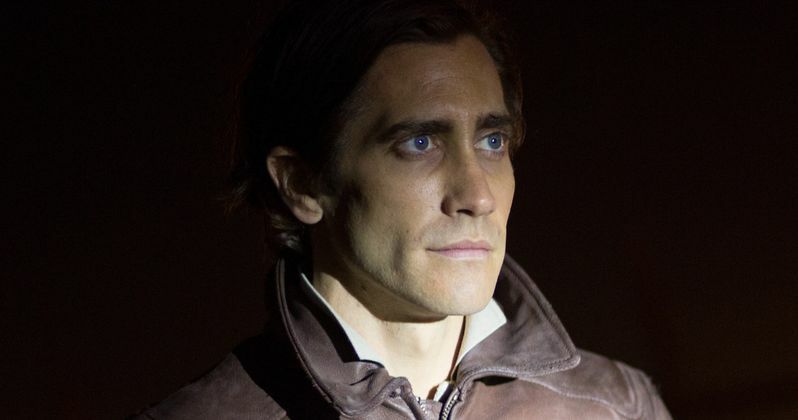 Set in the nocturnal underbelly of contemporary Los Angeles, the pulse-pounding thriller Nightcrawler stars Jake Gyllenhaal as Lou Bloom, a driven young man desperate for work who discovers the high-speed world of L.A. crime journalism. Finding a group of freelance camera crews who film crashes, fires, murder and other mayhem, Lou muscles into the cut-throat, dangerous realm of nightcrawling, where each police siren wail equals a possible windfall and victims are converted into dollars and cents. Aided by Rene Russo as Nina, a veteran of the blood-sport that is local TV news, Lou thrives. In the breakneck, ceaseless search for footage, he becomes the star of his own story. Riz Ahmed is also featured in this new footage as Lou's assistant Rick, who isn't quite at ease with Lou's aggressive pursuit of breaking crime news in this thriller written and directed by Dan Gilroy (Two For the Money, The Bourne Legacy). Watch as the world of freelance crime journalism is exposed in new scenes from Nightcrawler, arriving in theaters October 31.